With Easter just around the corner and families beginning to prepare for their long weekend road trips, the old saying 'it's about the journey and not the destination' can be a far cry for even the most patient of parents. Despite packing extra snacks to organising entertainment, sometimes kids can leave parents feeling frazzled and frustrated before even leaving the house. Hear the end of the pesky 'are we there yet?' or 'how much longer' questions by creating a fun and visual road-trip countdown. Get the kids to create cards listing each city or town that you will pass on your route and pin them on a string to be displayed in the car. Every time you pass a city or town, remove the corresponding card, making it more and more exciting the closer you get to your destination. 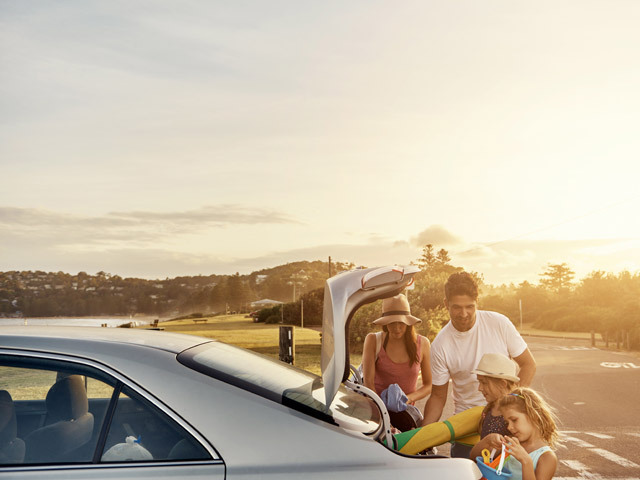 Book a Budget rental for your Easter road trip with the family here or take it on the go with the Budget mobile app.